NOTE: By appointment only! 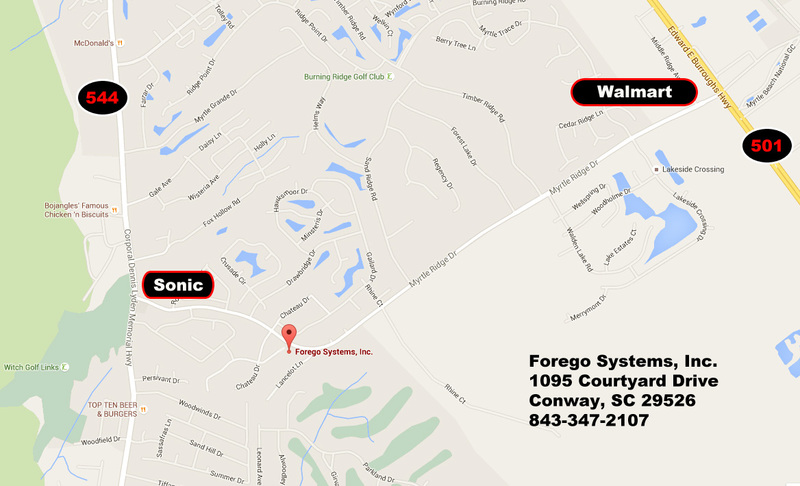 Call 843-347-2107 to schedule an appointment. Take 501 North to traffic light at Myrtle Ridge Road. There's a CVS Pharmacy on the left side, and the newer Walmart is just ahead on the left. Make the left onto Myrtle Ridge Road and follow approximately 1 mile until you hit a residential area. Make left onto Chateau Drive, then left onto Courtyard Drive. We are toward the end of the cul-de-sac, a huge shade tree in the front yard, third house from the end. Take 544 West to traffic light at Myrtle Ridge Road. There's a Sonic at the corner. Make the right onto Myrtle Ridge, then make the second right onto Chateau Drive, then left onto Courtyard Drive. We are toward the end of the cul-de-sac, a huge shade tree in the front yard, third house from the end. Take 31 South to Conway exit. Merge onto 501 North and continue several miles, past Carolina Forest, to traffic light at Myrtle Ridge Road. There's a CVS Pharmacy on the left side, and the newer Walmart is just ahead on the left. Make the left onto Myrtle Ridge Road and follow approximately 1 mile until you hit a residential area. Make left onto Chateau Drive, then left onto Courtyard Drive. We are toward the end of the cul-de-sac, a huge shade tree in the front yard, third house from the end. Take 501 South to traffic light at Myrtle Ridge Road. There's a CVS Pharmacy on the right side, and you will have just passed the newer Walmart on the right. Make the right onto Myrtle Ridge Road and follow approximately 1 mile until you hit a residential area. Make left onto Chateau Drive, then left onto Courtyard Drive. We are toward the end of the cul-de-sac, a huge shade tree in the front yard, third house from the end.